Billing Tones or metering pulses generated by the telephone exchange can cause modem connection difficulties. The billing tone is typically 12kHz or 16kHz signal. The F16 dongle allows the modem to work without degradation in the presence of 16kHz pulses. 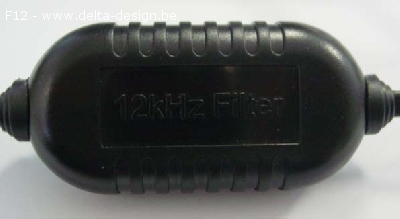 For 12kHz pulses use the F12 dongle.